Organized crime has long been a staple of the Hollywood film industry. 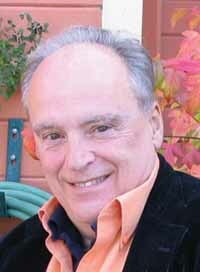 Ketchum resident and author Charles Brandt, 68, knows more than most about the inner workings of the Mafia. One of his four books, "I Heard You Paint Houses," will be made into a movie in 2012, featuring Robert DeNiro, Al Pacino, Joe Pesci and Harvey Keitel. The book, published in 2004, was a New York Times nonfiction bestseller. To "paint a house" is a euphemism for murder—the paint is the blood that spatters on the walls. The book is a true-crime biography of Frank "The Irishman" Sheeran, a Teamsters official and Mafia associate who on orders from his powerful godfather, Russell Bufalino, killed his friend and mentor Jimmy Hoffa, and 25 to 30 others, including Crazy Joey Gallo. While interviewing Sheeran for the book, Brandt said, he uncovered key information implicating the Mafia in the assassination of President John F. Kennedy. "I am absolutely 100 percent convinced that the Mafia killed JFK," Brandt said in an interview. "I theorize that Lee Harvey Oswald was expecting to meet up with cops who would help him get out of the country." Brandt says Oswald's killer, Jack Ruby, was deeply involved with the Mafia. During interviews in 1999, Sheeran told Brandt that rifles he transported to an airport in 1963 were used in the JFK assassination. The film is in production at Paramount Studios under the working title "The Irishman," and will be directed by Martin Scorsese, based on a screenplay by Oscar winner Steve Zaillian. Born and raised in New York City, Brandt is a former junior high school English teacher and East Harlem welfare investigator. Upon graduating from Brooklyn Law School in 1969, he moved to crime-plagued Wilmington, Del., and became a homicide investigator, prosecutor and chief deputy attorney general. Brandt is a past president of the Delaware Trial Lawyers Association and the Delaware Board of Trial Advocates. "I put four men on death row in Delaware," he said. "I've spent a lot of time around murderers." In 1976, Brandt left the attorney general's office and entered into private practice, defending many high-profile murder cases for a decade until he was able to build his own firm restricted to medical malpractice. He is an expert and frequent speaker on cross-examination and interrogation techniques for reluctant witnesses, skills that allowed him to uncover the secret of Jimmy Hoffa's murder and shed light on Kennedy's assassination. "A person who wants to confess oftentimes wants you to drag it out of them," said Brandt. Brandt represented Sheeran in a racketeering case in 1980. "He was arrogant, a killer. We all knew that about him. Several books had identified him in the conspiracy to kill Hoffa. He was given 32 years instead of five, in order to squeeze him on Hoffa." In 1991, Sheeran, in deteriorating health, hired Brandt as a medical lawyer. After being released from jail, he contacted Brandt in 1999 to "tell his side of the story," which signaled to Brandt that he wanted to confess. Brandt met him for lunch. "We knew he'd killed a guy who spilled wine on him, so my partner was worried about me," Brandt recalled. Brandt said Sheeran came to him after reading Brandt's 1988 novel "The Right To Remain Silent," in which Brandt describes confession as "a basic human need, like food and shelter." It took five years of interviewing and to reach a point that Sheeran was willing to unburden his soul of the killing of his friend and mentor Hoffa. "He told me that if he hadn't killed Hoffa, he would have gone to Australia, too, which means to go down under, to be killed." When Brandt mentioned Kennedy's assassination in passing, Sheeran said, "I'm not going anywhere near Dallas." "It meant he knew something about the JFK assassination," Brandt said. Brandt said his feelings toward Sheeran changed toward the end of the mobster's life. He said he grew fond of him after Sheeran returned to his Catholic faith in 1999, and confessed to killing Hoffa, his longtime friend. Brandt said Sheeran was recruited into the Mafia in the 1950s, 10 years after serving 411 days of combat in World War II. Brandt served as a pall bearer at Sheeran's funeral in 2003. "I had a personal relationship with him. He was doing the best he could. He was genuinely remorseful in the end, but not uniformly so. ... He did care about killing Hoffa." On Wednesday, Feb. 23, Brandt will give a lecture at The Community Library in Ketchum titled "Writing About the Mafia." The lecture coincides with the release of the true-crime book "We're Going To Win This Thing," which Brandt co-authored.